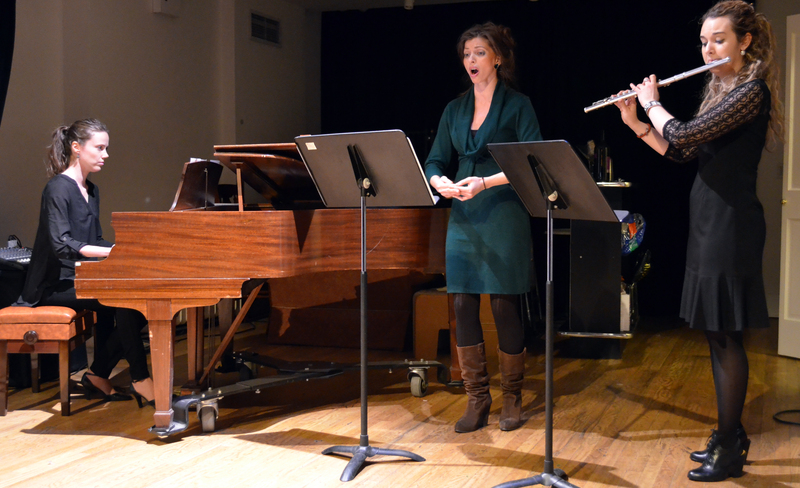 "AWoW, WHERE ANYTHING CAN HAPPEN"
Tuesday night’s Showcase started off with a delightful taste of chamber music. 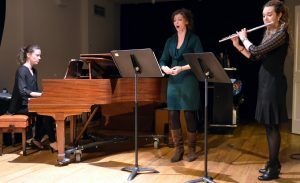 The Trio Samovili, comprised of Macedonian soprano Gabriela Gyorgeva, Serbian flutist Ana Tanasijevic and Bulgarian pianist Aleksandra Kocheva performed three pieces consisting of two arias by GF Handel: Piangero la Sorte Mia (Giulio Cesare) and Ombra Mai Fu (the famed Largo from Xerxes) and culminating with a traditional Macedonian song Zajdi Zajdi Jasno Sonce, which is considered an anthem of the Balkan area. Through their interpretation you could easily feel the special emotions of homeland and the spirit of the Balkan. In celebration of this month’s 35th anniversary of The National Women’s History Project, Joanna C. Migdal read “Good Night, Noises Everywhere”, a cento (collage-poem) she had composed of lines by 45 of some of her favorite women poets of the past. The audience (including the men!) were moved as the lines of her poetic soliloquy expressed universal and timeless frustrations and anxieties of these women. With a commanding stage presence and vivacious poems of triumph, tribute, and forgiveness, I.S. Jones’s poetry stunned the audience at AWoW. 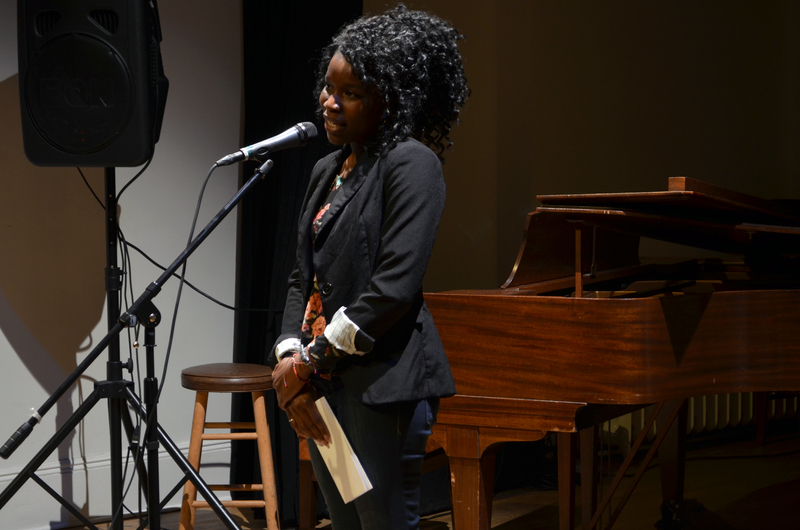 Her brilliant and heart-warming verse brought the audience from roaring amens to a celebration of the “black body.” I.S. was a delight to experience. We hope to see her again…and again. Ashley Bell thrilled the crowd with a beautiful performance of Bach/Gounod’s Ave Maria. She then joined forces with Artists Without Walls’ regular, violinist Annette Homann, for an impromptu, spectacular rendition of “The Prayer” by David Foster. 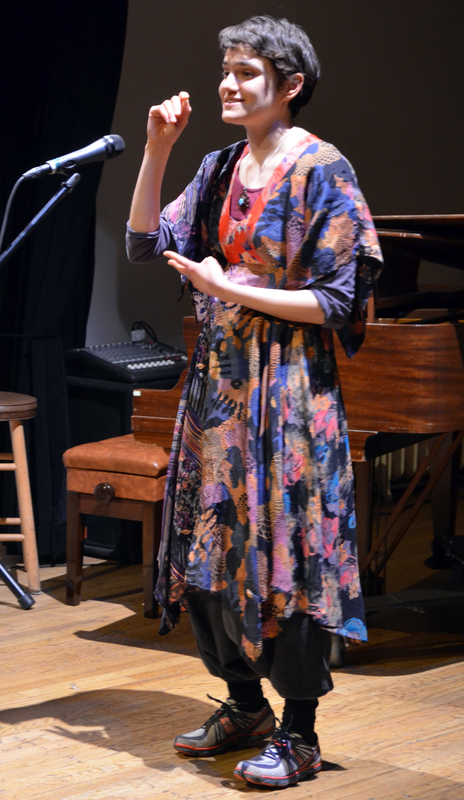 Allison Sylvia performed her anti-strophe, edon.adan, at this past week’s showcase. 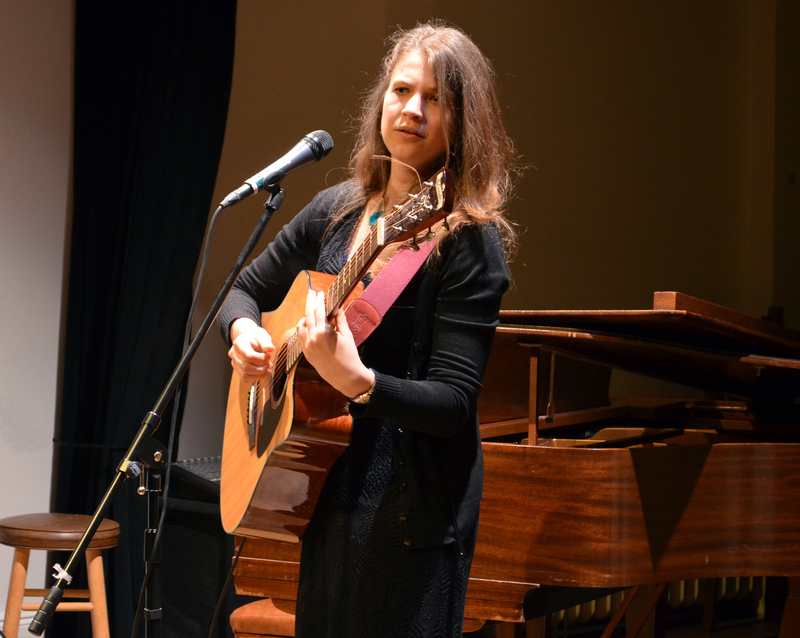 “I am endlessly grateful for the opportunity to perform for such a supportive audience,” she said. 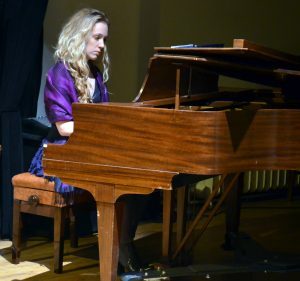 “There are few words to describe how exciting it was that the audience ‘clapped [that they] believed in fairies.” This is one talented young lady, whose greatness is early in its ascendance. The opening scene, excerpted from Brendan Connellan’s new play Savage, was just the mix of unsettling darkness and bubbling farce that you might expect from some of his prior pieces, POMPA POMPA, Kill the Bid! or Death, Please! 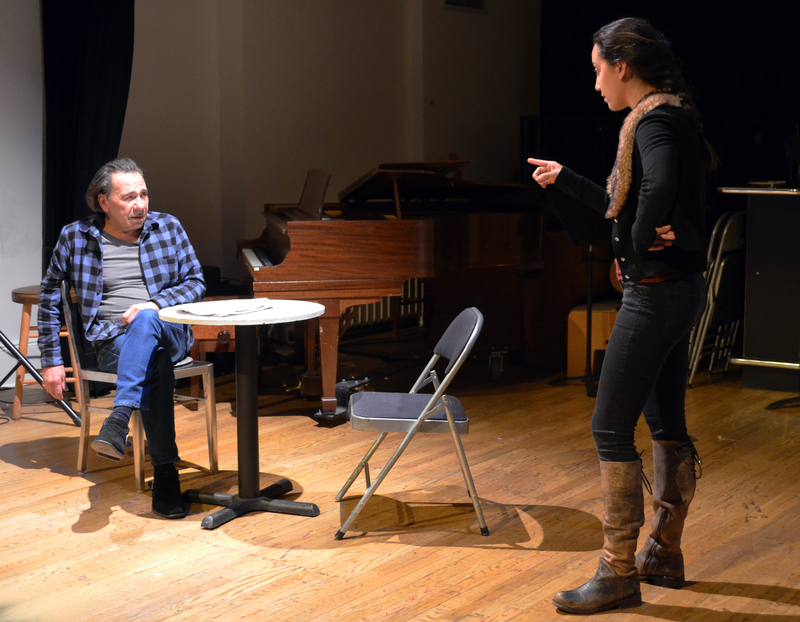 Courtney Torres and Larry Fleischman fully captured the awkward daughter-father dynamic as she dropped on him a very unexpected and somewhat unwelcome piece of news. 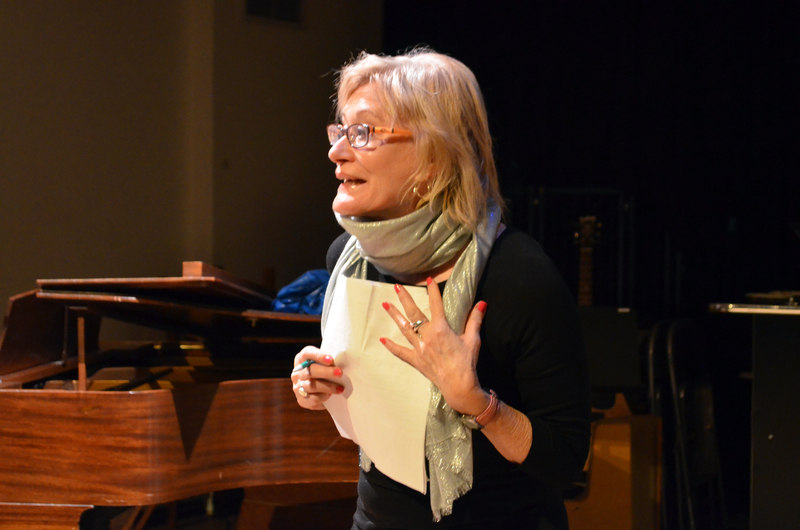 Mary Tierney directed with great imagination and verve. The full play should be completed in the coming months so the fall out will be further explored! Expect further mayhem! Another great evening of multi-cultural talent. The next Artists Without Walls’ Showcase at The Cell will be on April, 28, 6:45pm.